UMD Passport is a plan which allows Asian gamers to play their UMD PSP games on their PS Vita by registering the UMD on your PSP and then re-purchasing the PSP game on their PS Vita for a small fee. However that plan will not be available for European and North American gamers, no reason was given until now as Shuhei Yohsida explains why the program is only available in Asian regions. Wired: Why isn’t there going to be a UMD transfer program for North America, like there is in Japan? Shuhei Yoshida: I’m sorry we are not doing it in the States, but there are two factors that contributed to the decision as I understand it. I’m not in a position to make that kind of business decision. The system has been introduced in Japan, where there is a much larger demand for PSP games. When you look at the release schedule of new titles there are still lots of PSP games being released in Japan and being announced for release. Lots of people who are interested in trying Vita are also interested in playing PSP games that they might purchase before Vita comes out, and will not necessarily choose the digital version. So there is a lot more demand … to introduce a program like that. The other point is that when you look at PSP titles sold digitally in the States or Europe, games are sold for a really reasonable price. You can buy Final Fantasy Tactics for $10. That’s a great price. There are many, many games that are sold at an affordable price. Because people in Japan are not getting the digital copy for free, because it costs us money to develop and maintain the system so we are asking people to pay somewhere between $5 and $10 to receive the digital copy in addition to what they have on the UMD. When you compare that to the price of games here, PSP games in Japan are sold at a much higher price, so people see the value in spending the $5 to $10 to get the digital copy. But when the games are already sold at a lower price in the U.S. we see less value in introducing that kind of system. The combination of the new titles available, or the lack of, and the price difference, the company decided to do that. 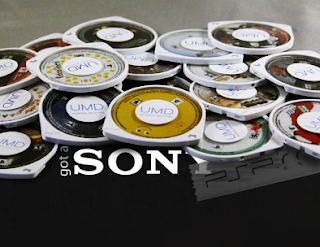 Let us know what you think of paying for your old PSP games in the comments below!